Gracious Family Home on 1/4 Acre! This impeccably renovated family home on a fully fenced 1/4 acre block in a well-located pocket of Greenvale exudes effortless elegance, with attractive street appeal and lashings of charm and grace inside and out...a truly classic style with timeless aesthetic and design integrity. All on one level for good connectivity and seamless flow; the home is complete with four double-sized bedrooms, two bathrooms plus powder room, formal and informal living areas, stylish well-equipped gourmet kitchen, expansive north-facing covered alfresco entertaining deck with built-in BBQ/sink/double bar fridge, separate laundry, wraparound front and side porch, and separate double lock up garage with upper loft/studio, plus abundant onsite parking for guests. The renovation has been tastefully executed enhancing the home's character and warmth, and no expense has been spared, nor corners cut - the final result is outstanding in every sense. All the hard work has been done, there is nothing for the new owners to do, not a finger to lift...move straight in and benefit from their meticulous work and vision. Alfresco entertaining and celebrating those special occasions will be an absolute pleasure; with a timber-lined high-pitched roof and the deck is perfectly set-up with what is virtually an outdoor kitchen This is a fabulous all-weather place to relax and break bread with family and friends...cheers! The gardens are low maintenance, and fully fenced they are pet/child friendly; a remote-control gate and garage make exiting and entering a breeze, and also enhance security. 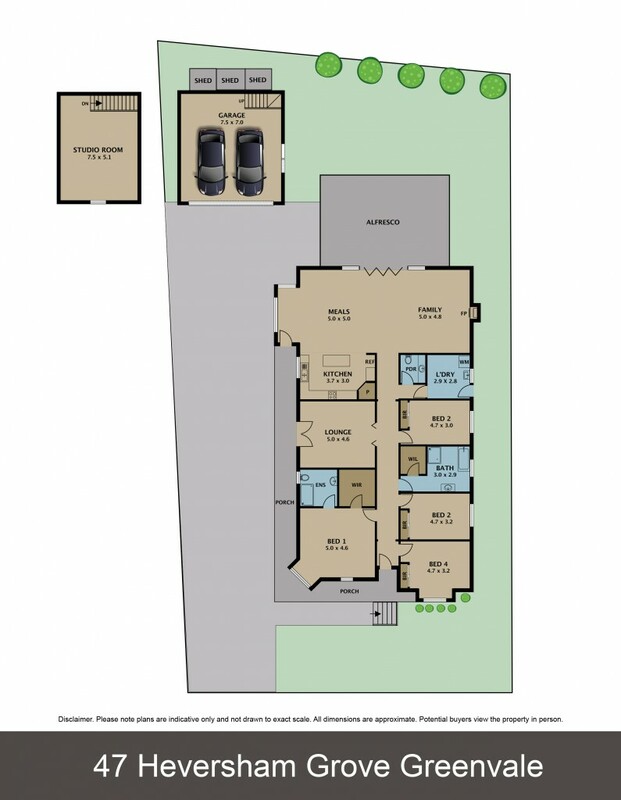 Inside and out, this is a really impressive home, yet also practical and functional...the complete family package! Located within walking distance to local schools, transport, parks, and shopping centre; plus, just minutes to major arterial roads, and 20 kilometres to Melbourne's CBD, and 10-minutes to the airport - employment, leisure, commercial, and educational amenities are all easily accessed.